When her ex-lover, wealthy real-estate tycoon Pierce Inverarity dies and designates her the co-executor of his estate, California housewife Oedipa Mass is thrust into a paranoid mystery of metaphors, symbols, and the United States Postal Service. Traveling across Southern California, she meets some extremely interesting characters, and attains a not-inconsiderable amount of self-knowledge. 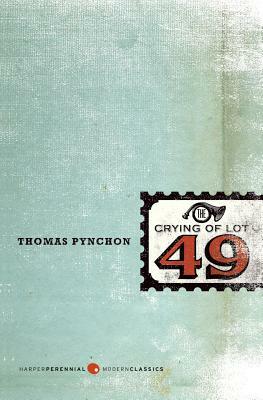 Thomas Pynchon was born in 1937. His books include V, Gravity's Rainbow, Vineland, Mason & Dixon, Against the Day, Inherent Vice, and Bleeding Edge.